Discover the beauty and traditional culture of Morocco’s Atlas Mountains minus the hassle of planning an independent journey or the inconveniences of a shared-group trip. Book this private full-day tour from Marrakech and venture into the orchard-filled Ourika Valley of the Atlas. 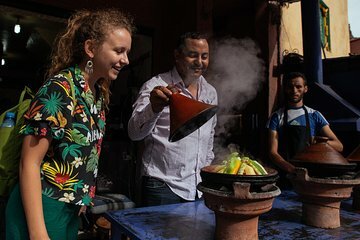 Visit Berber villages, admire waterfalls, and experience local life, customs, and food; all with personalized insight from your private guide and the comfort of your own air-conditioned vehicle.